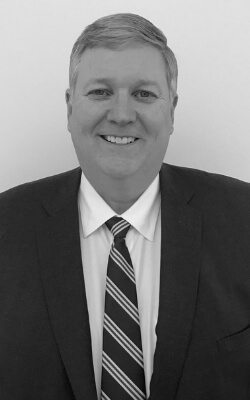 Tom Lehner, Vice President, Government Affairs, Bridgestone Americas, Inc., is a government and industry affairs executive with a record of leadership working with elected officials, companies, and trade associations in addressing challenging and complex issues. Immediately prior to joining Bridgestone, Tom served as Vice President of Public Policy for the Motor & Equipment Manufacturers Association (MEMA). MEMA represents motor vehicle suppliers who provide over 734,000 direct jobs, the largest manufacturing sector in the United States. Suppliers play a leading role in developing advanced vehicle technologies, transforming the automotive industry as it transitions to connected and semi-autonomous vehicles. Previously Tom was Vice President for Toyota, where he led the Washington, D.C. office; Tom was Toyota’s lead advocate with White House officials, members of congress, and regulatory agencies. His leadership was invaluable as Toyota faced the global recession, recall crisis, and recovery to one of the world’s leading brands. Tom was also a Director at the Business Roundtable, working with CEO’s of the nation’s largest corporations. He led the Roundtable’s efforts on Corporate Governance, Legal Reform, and the Partnership for Disaster Response. Tom began government service at the local and state levels, and in Washington D.C. his experience includes working for six U.S. Senators, including Chief of Staff to Senator Charles S. Robb of Virginia. Tom has testified before Congress and the Securities and Exchange Commission (SEC), appeared on numerous industry panels, and has been quoted in leading publications. Tom is also a licensed pilot and enjoys golf and skiing; he and his wife Kathy have three children.